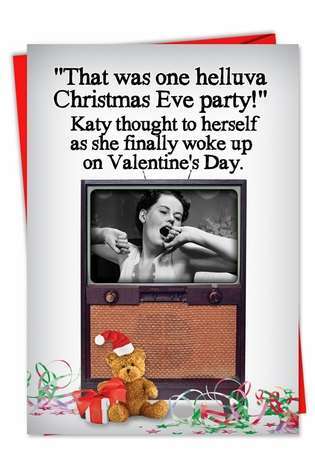 Cover Reads: "That Was One Helluva Christmas Eve Party!" 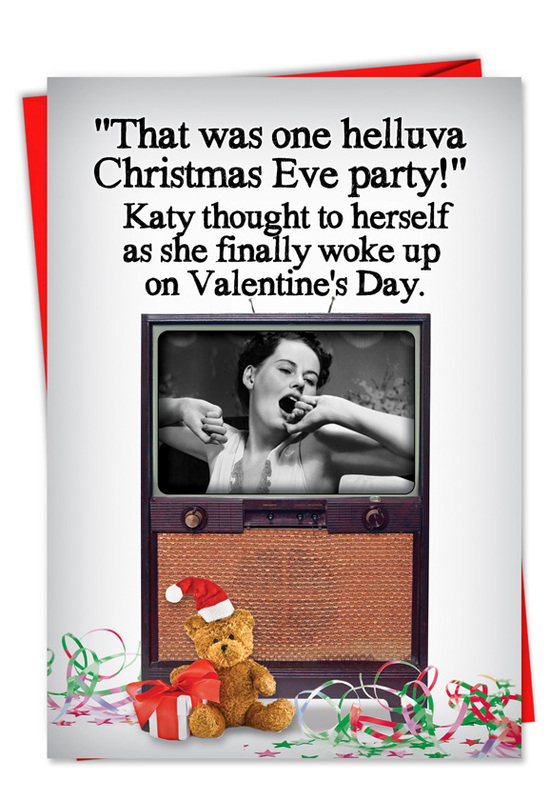 Katy Thought To Herself As She Finally Woke Up On Valentine's Day. 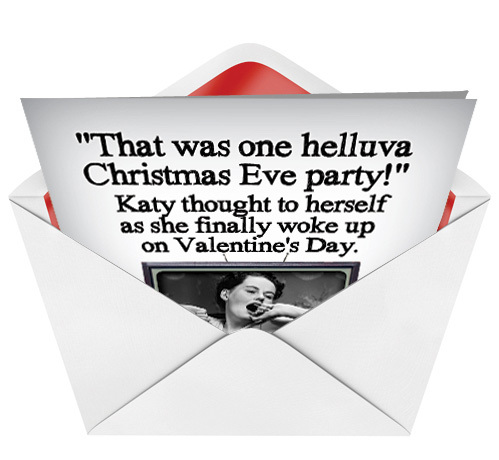 You have to admit, if you went to a Christmas Eve party and woke up on Valentine's Day, that would be one helluva party...And I'm sure you'd have one Helluva hangover too. Of course, you'd most likely wake up in the hospital with everyone worried sick that you partied yourself into a drunken coma, but it'd definitely be a party to remember forever. It may actually make you think twice about attending anymore parties...I guess this might be the perfect card for that friend that parties way too much. 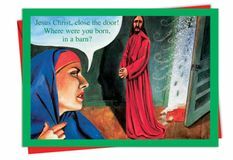 Everyone loved this card. 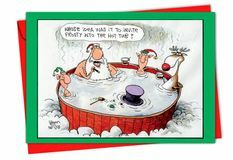 Funny but not too inappropriate.